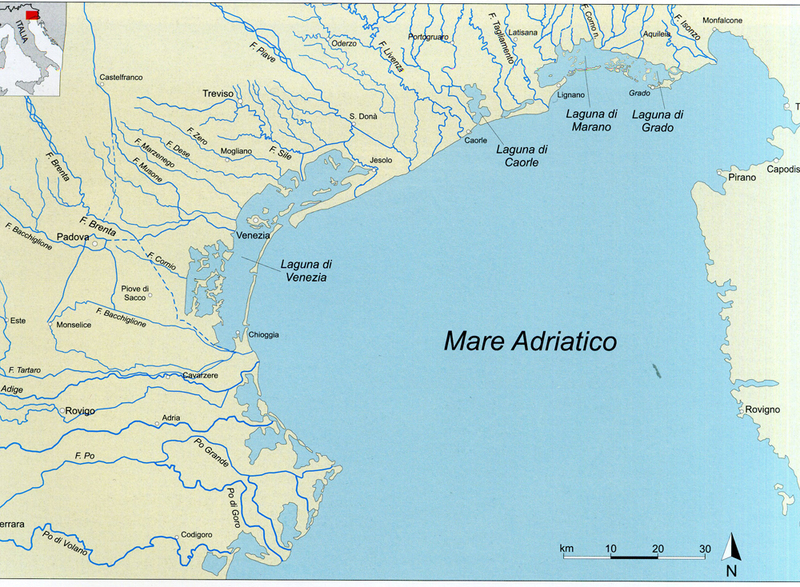 In Veneto rivers were of major importance as connectors in the geographical area and because of this produced an apparent impact on the development of settlements. It is very hard to determine the original pattern of the rivers in the region, because there are many natural and artificial variations that have occurred since antiquity. 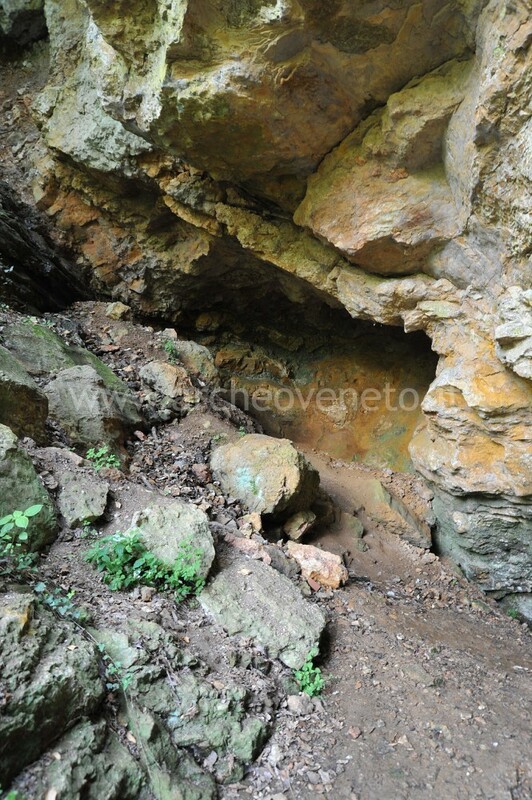 This part of the landscape changed continuously from Prehistory to the Early Middle Ages. These rivers have various lengths and capacities, but nevertheless have common characteristics such as a constant and calm rate of flow and all chart a course northwest-southeast form the springs in the Alps to the sea. The fact that the rate of flow is regular guaranteed a double direction of navigation in the past. Thus, the rivers guarantee the communication between all areas in the region, linking the lagoon and the valley to the Alps and allow for a climb over them through the passes of Resia, Brennero (Adige e Brenta), M. Croce Comelico (Piave), M. Croce Carnico, Mauria and Sella di Camporosso (Tagliamento river). This communications skeleton worked from prehistory to the Early Middle Ages for the transfer of both people and goods. The Roman road network simply strengthened this skeleton, but never overcame it. The function of this fluvial network, called by Servius fluminibus abundans (Servius, In Vergilii Georgica commentarii, I, 262), was already very apparent to the historian Strabo, who underscores that many settlements were connected to the sea through rivers, that were navigable upstream (Strabo, Geographia, V, 1, 8; Procopius, De bello Gothico, I, 1, 16-23; Cassiodorus, Variae, V, 17). The high potential of this network of rivers attracted people’s attention and numerous settlements arose along the rivers, at strategic points where there were merging confluences, outlets and fords. The relationship between people and rivers since prehistory becomes the most striking characteristic of the region and, indeed, Pliny’s description of the decima regio (Pliny the Elder, Naturalis Historia, III, 126-130) often addresses this aspect. 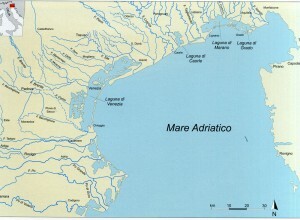 Even earlier, Strabo draws attention to the fact that “ of the cities here, some are wholly island, while others are only partly surrounded by water; as for all the cities that are situated above the marshes in the interior, the inland voyages afforded thereto by the rivers are wonderful’ (Strabo, Geographia, V, 1, 5). When we look closer at the system of this fluvial network connecting south to west and north to east, we immediately realise that some of the rivers cover a main role and are hegemonic: Po, Adige, Bacchiglione, Brenta, Sile, Piave, Livenza, Lemene and Tagliamento. All these rivers have their own outlet in the sea and other rivers such as Illasi, Tione, Tartaro, Astico, Tergola, Musone, Reghena, Meduna, and many more, merge into them. The river Po is the most important of the rivers in Veneto. It is the most southerly one. Nowadays, it marks the southern border of the region and probably had had a similar function in historical ages. It is the main river in the whole Po valley and its overarching role was remarked upon by Polybius (Polybius, Historiae, II, 16, 6-12). 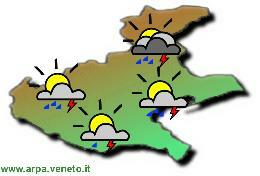 So, the settlements in the Veneto region must also have had been affected by it. Indeed, some paleomorphologic studies have revealed that some of its Northern branches reached the area of the Polesine. For the whole Iron Age, the so called “Adria Po” was fundamental. It was detaching itself from the modern river Po in the area of Bergantino/Castelmassa and was passing through the present-day rivers Adige and Po in order to fulfil the needs of the port of call of Adria. It seems likely that others branches of this river rose more north, even reaching the present Rovigo and they flowed into the sea in a place nearly south of Chioggia, after having merged their waters with those of the river Adige, of the Padovan river Togisonus and maybe of the southern branches of the rivers Meduacus/Brenta and Retrone/Bacchiglione. The Adige is a river with its source in the Alpine region of the Val Venosta, flowing through the Lagarina valley and past the city of Verona. In the southern area of Verona, the Adige parted into two branches, one of which flows in the present-day bound with its outlet in the area of Cavanella d’Adige, while the other one flows more north reaching Montagnana and Este (which got the Latin name from the hydronym). After Este, the river Adige parted again into two and one branch headed south up to the other southern branches of the river, while the second flowed Northeast, past Monselice and into the sea in an area not far more South then Chioggia. It formed the portum … Brundulum, nowadays Brondolo (Pliny the Elder, Naturalis Historia, III, 121). We do not know the exact ancient name of the river Bacchiglione/Retrone; the only trace of it is maybe the portum … Aedronem in Pliny (Pliny the Elder, Naturalis Historia, III, 121) and in the mansio Evrone as recorded in the Tabula Peutingeriana (segm. 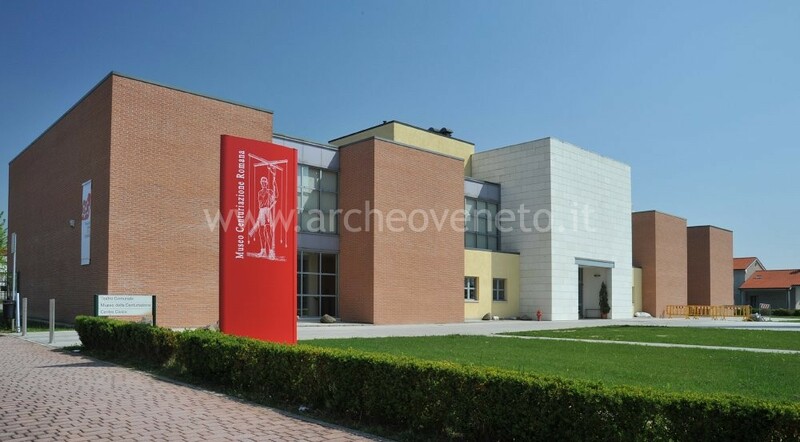 III, 5), both are located in the Southern part of the Veneto lagoon. Venantius Fortunatus quotes the hydromym Retenone (Venantius Fortunatus, Vita Sancti Martini, IV, 677) and the Ravenna Anonymus mentions Retron (Ravenna Anonymus, Cosmographia, IV, 36). Its way was very different from that of today, because it flows inside the city of Padova, after having flowed past Vicenza, but it is supposed to have flowed south of Padova, merging with the Brenta river in the area of Vallonga (portus Aedro = mansio Evrone) and ending in the lagoon. 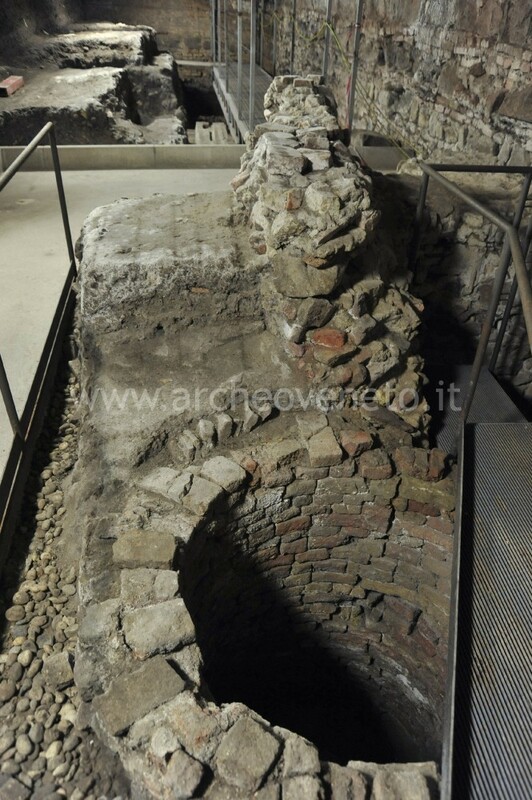 It is worth noticing that according to recent hypothesis not yet set into a completed study over the ancient fluvial network, the Bacchiglione would have contributed to foster the bend of the river which passed through the city of Padova from prehistory. The Brenta river had an incredible importance in the historical-geographic development of Veneto. In Roman times the name was Medoacos/Meduacus (Strabo, Geographia, V, 1, 7; Livy, Ab Urbe condita, X, 2, 6; Pliny the Elder, Naturalis Historia, III, 121) and only in the late Roman period and in the Early middle ages changed into Brintesia/Brinta (Tabula Peutingeriana, segm. III, 5; Venantius Fortunatus, Vita Sancti Martini, IV, 677). The Brenta has its source in the lakes of Levico and Caldonazzo. It runs in the valley of the Valsugana (Bassano del Grappa), between the Asiago plateau and Acrocoro of Grappa, then it separates into two branches (mentioned by Pliny and by the Tabula Peutingeriana), whose reconstruction has been matter of heated debate. It seems that the bigger branch (maio Meduaco) maintained a course similar to that of the present up to north Padova (Limena-Cadoneghe) and then ran along the nowadays “Riviera del Brenta”; conversely, the mino Meduaco should have had run more west, along the course of the present rivers Ceresone and Scorta and then through the city of Padova from west so that it would have given shape to the bend still visible nowadays in the city. According to a second hypothesis, since the Bronze Age the Brenta river would have run from Bassano to Limena and the western branch of the river would have ceased to exist. It has been suggested that the bend on which Padova arose, in historic ages would have been occupied by the Bacchiglione water, which came from Vicenza, even though it belonged to a palaeo-Brenta of prehistoric age. This new theory must be compared with archaeological data and with sources such as Livy and Pliny. These agree in pointing to the Brenta as the river that flowed in the city and connected it to the sea, but they never mention a connection between Vicenza and Padova, according to the above hypothesis. The river separates into further forks in the south-eastern outskirts of the city and then bends towards the sea. The main problems for a correct hydrographical reconstruction of the Brenta arise when we try to delineate the shape of the delta which was generated by the two braches (Maio e Mino Meduaco) in east Padova, between the “Riviera del Brenta” and the area of Chioggia. A comparative examination of the geomorphologic and archaeological data with the ancient sources has not given space yet to a certain reconstruction of the network created by the numerous forks into which the river should have divided itself before reaching the lagoon. It is very likely that not all the outlets discovered from north to south (Porto Menai/S. Ilario, Porto Menai/Le Giare, Sambruson/Lugo, Lova, Vallonga/Rosara, Vallonga/Fogolana) were active at the same time from for Protohistory to the Early Middle Age. It has been suggested that in the late Iron Age the branch of Lova had the biggest importance, which would have been later acquired by the southern and northern branches . Probably, Strabo refers to the branch of Lova when he states that “Patavium offers an inland voyage from the sea by a river which runs through the marshes, two hundred and fifty stadia from a large harbour” (Strabo, Geographia, V, 1, 7). On the whole, it seems possible to connect the northern braches to the river maio Meduaco and the southern branches to the mino Meduaco. The Piave river holds a very important role in relation to the interaction between the Adriatic sea and the trans-alpine area. Its name appears quoted for the first time by Venantius Fortunatus in the sixth century (Patr. Lat. LXXXVIII, c. 62: Miscellanea, prologus) and later by the Ravenna Anonymous (Ravenna Anonymous, Cosmographia, IV, 36). The river flows out of the passes of M. Croce Carnico e M. Croce Comelico, runs through the same valley, goes through the cities of Belluno and Feltre and flows away to the coast a bit more north with respect to the Veneto lagoon Donà di Piave). Perhaps in antiquity there was a direct interaction between the Piave river and the Sile river, which indeed flows into the lagoon at the port of Piave Vecchia near to Altino and to the outlet of the Piave and has its resurgent springs in Casacorba (17km from Treviso), despite Pliny’s remark about its origins ex montibus Tarvisanis (Pliny the Elder, Naturalis Historia, III, 126). In order to explain this statement, it is possible to hypothesise that Pliny had confused the Piave river with the Sile river and had attributed to the latter the origin of the former. However this hypothesis is very unlikely. It would be more logical to assume that in antiquity there was a confluence of a Piave branch (maybe along the river Musestre) into the Sile river south of Treviso. In this way Pliny’s remark would apply. The question remains as to why Pliny does not mention the Piave river and its important outlet at all. 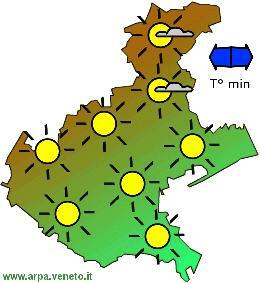 In the fluvial network of the ancient Veneto three rivers dominated the area East of the Piave river. There was the river Livenza that originated ex montibus Opiterginis (but in reality from Carsic resurgent springs). It should not have touched any important settlement, even though it was connected to Oderzo via some tributaries. In the area of Brian it created the portus eodem nomine (Pliny the Elder, Naturalis Historia, III, 126). More East, in the present area of Portogruaro and Concordia Sagittaria, there was the river Reatinum, which Pliny remembers as connected to the same port just mentioned (Pliny the Elder, Naturalis Historia III, 126 e Strabo, Geographia, V, 1, 8); This river could be identified with the present Lemene, a small river with resurgent springs. Before it reaches its outlet in the area of Gaetano and Caorle-Falconera, the Reghena stream used to merge with it. With regard to present day Veneto, the Tagliamento river is the one located further East and was marked already in the Iron Age as the extreme border of Veneto culture. Many tributaries gave birth to it and these led to several Alpine passes in the middle-eastern area (Mauria, M. Croce Carnico, Sella di Camporosso). The river flowed into the valley and in the southern area of the present S.Vito in Tagliamento it splits up into two branches, mentioned by Pliny as the Tiliaventum Maius Minusque (Pliny the Elder, Naturalis Historia, III, 126). 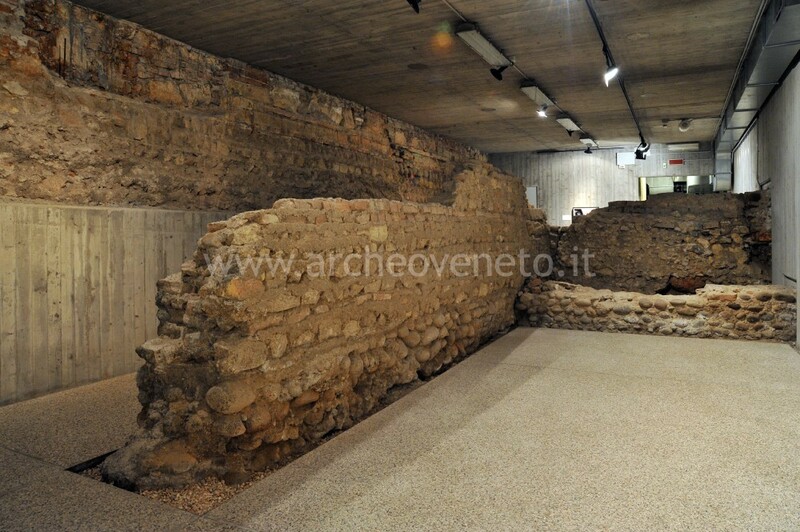 Their outlets should correspond to the present-day Porto Baseleghe (Tiliaventum Maius), near Bibione Pineda, and to the area of (Tiliaventum Minus), near Lignano Pineta. The outline of the fluvial network given up to now should not be taken as stable during the time from Prehistory to the Early middle Ages, but as a reasonable reconstruction particularly for the period between the Iron Age and the Roman era. 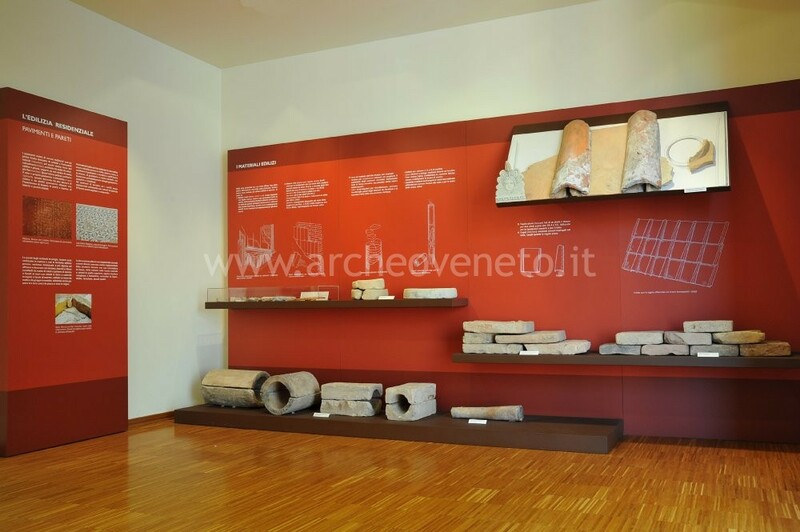 For this time-frame archaeological finds and sources allow us to reach the conclusions above with certain credit. 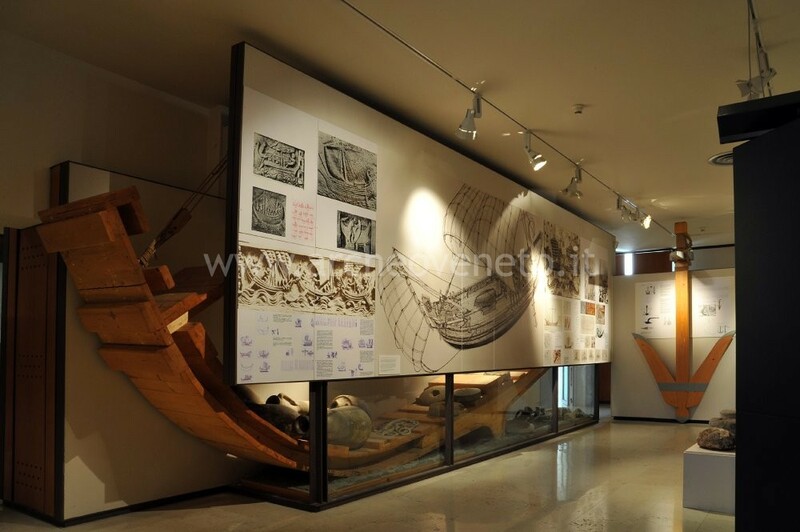 It is quite doubtful whether it is possible to give an accurate picture of the fluvial network in the remote past (Bronze Age and before) and it is certain that there must have been considerable changes during late Antiquity and the Early Middle Ages. For example, it is certain that the Adige permanently left its northern course for Montagnana and Este in the sixth century because of a flood in 589 AD, described by Paulus Diaconus (Paulus Diaconus, Historia Langobardorum, III, 23). Other significant changes should be dated to this period and to the following centuries. These changes caused the arrest of the branch of the river Meduacus/Brenta passing through the city of Padova, later occupied by the river Bacchiglione. Another change concerned the most northern branches of the river Po, which flowed into the Veneto lagoon and later disappeared. The most radical changes, which created the present fluvial network, were made by Venetian engineers, operating in the late Middle Ages and during the Renaissance. They created numerous diversions in the fluvial outlets (Po, Brenta, Bacciglione, Sile, Piave) in order to avoid the risk of an excessive quantity of solid materials being carried in the lagoon and a consequent fatal blocking of their outlets.